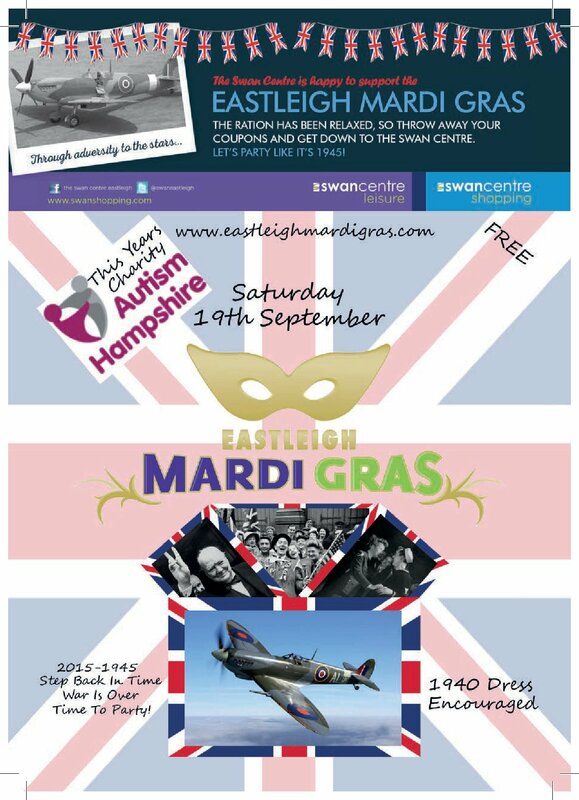 This year’s Mardi Gras main event is due to take place this Saturday in a 1945 themed event at Eastleigh’s Leigh Rd recreation ground. The free event will feature plenty of attractions for all the family and is set to be one of Eastleigh’s busiest days of the year. The day will kick off at 10am and local Crestwood College steel band Panatical will finish the event at 7 pm with live music. During the day there will be a ukulele band, an air display, the Big Noise Samba Band, Eastleigh Fusion Choir and much more for all the family. The carnival parade will begin at 5pm for an hour and will tour around Eastleigh with judging to commence at The Point at 4.30pm. A vintage market will also be on display throughout the day in the Market Place and is promised to be something a little different to the traditional Saturday market that normally takes place. Over 40 vintage themed stalls will pack the area offering a range of clothing, jewellery, home ware and gifts. The Vintage Market is being organised in partnership with Yellow Vintage who are well known around the South for their popular vintage fairs regularly held at big venues such as the Ageas Bowl. ‘This is the fourth year it will take place, it’s great and it raises a few bob for charity. ‘Last year we raised £1000 for the Lions and this year we will be looking to help out Autism Hampshire. ‘I am looking forward to good weather and the event is fun for all the family. 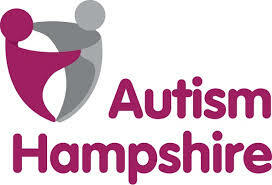 Autism Hampshire will be this year’s charity. Also supported by the Swan Centre, the Mardi Gras will be looking to raise money for this year’s charity which is Autism Hampshire – an independent charity that has had over 40 years expertise supporting adults and young people with autism. The Charity provides direct service to over 200 individuals as well as community support to over 100 families every year. Already the event has already seen bowling at Holywood Bowl, a ‘Workout Wednesday’ at Fleming Park and an open night in the Litten Tree earlier this week.